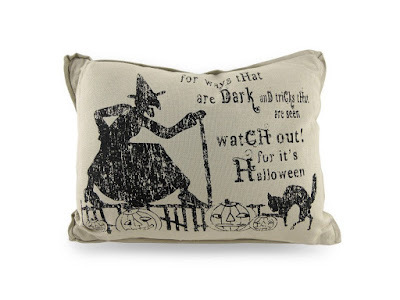 There's nothing like decorative pillows to up the Halloween factor in your house. My favorite brand that I've seen this year are Bethany Lowe's throw pillows on Amazon. I find them beautifully macabre. Check it out! 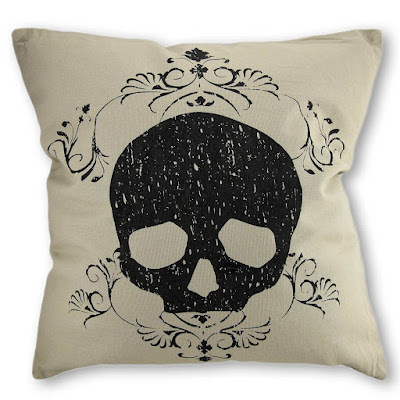 Doesn't the skull on this damask skull pillow look so sad? This would match my living room right now. 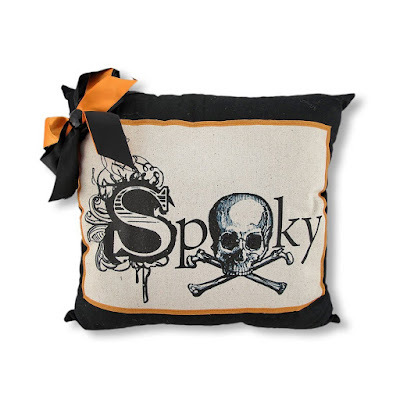 The bows on this spooky skull throw pillow are really cute. The "s" looks like it's pervading a toxic substance! 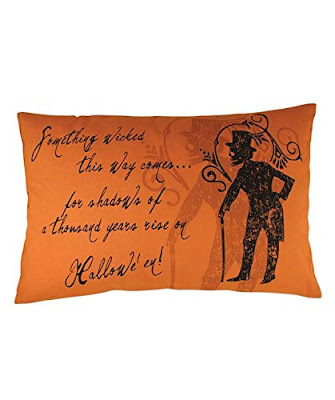 I feel like the quote on the gentleman skeleton throw pillow is a combination of a couple famous lines? I like it nonetheless! 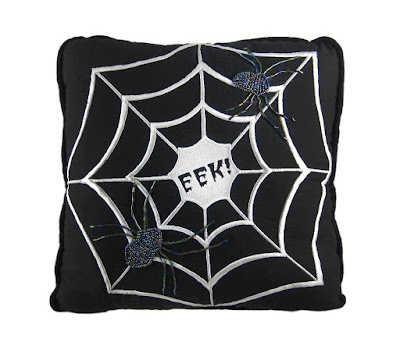 This spider throw pillow is the only spider thing I've seen that I actually want! Plus it doesn't send a chill down my spine. I love the retro style of this bobbing for apples throw pillow. It's also really festive! I actually find this black cat to be a little disturbing. The sassy cat pillow looks like it is screaming! 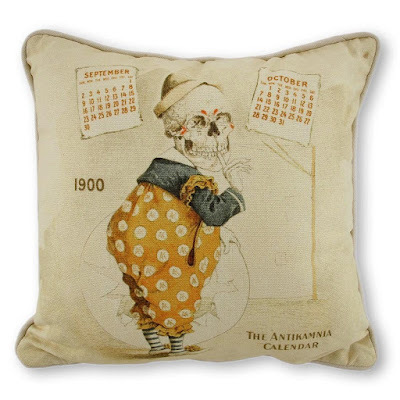 This calendar decorative pillow is definitely an interesting one and very unsettling. What is the clown waiting for anyway? 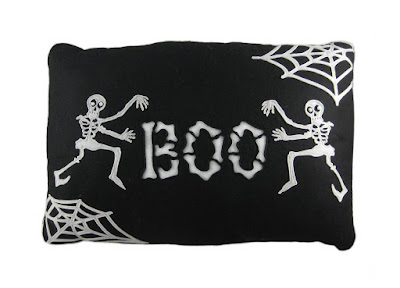 This is clearly a classic boo throw pillow! 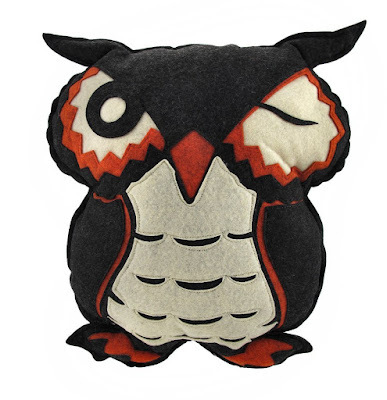 We all know how popular this owl throw pillow will be on Halloween. The wink is quite cute. 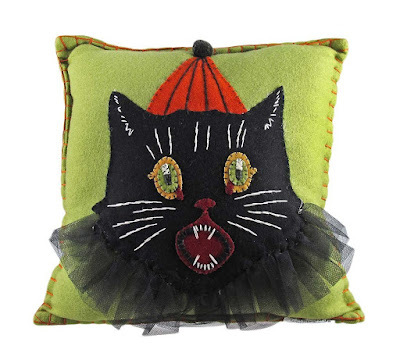 It isn't necessarily a scary pillow, but it works well for the whole season of fall. 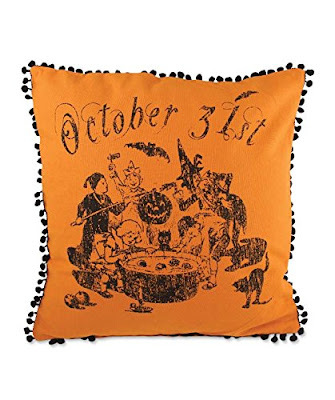 This "It's Halloween" pillow is my favorite by far. The quote is great and I love the cat and witch illustration! If you could choose any of these pillows for this year, which one would you want to have in your home? I love the vintage look for most of the designs! Take a peek at Bethany Lowe's throw pillows on Amazon and comment below!